Are Muddy Hands Beneficial? The Durie is Out! Many of us may be well aware of the Australian-born horticulturalist and landscape designer, Jamie Durie. Durie has hosted more than 50 design shows around the world sharing his love of gardening and design to the world. As a passionate horticulturalist Durie continues to promote and advocate for the numerous benefits that getting our hands into the earth can offer. It is well known that people of all ages can enjoy gardening, but children in particular will have lots of fun and gain special benefits. Here at ATC our students continue to benefit from the basic task of getting their hands dirty in the Gardening Club. This club aims to provide a fun educational opportunity to develop new skills. Despite the intense heat, the gardeners have got off to a busy start. The boys are creating a beautiful spot which is already beginning to offer plenty that tastes, smells, feels, sounds and looks great. 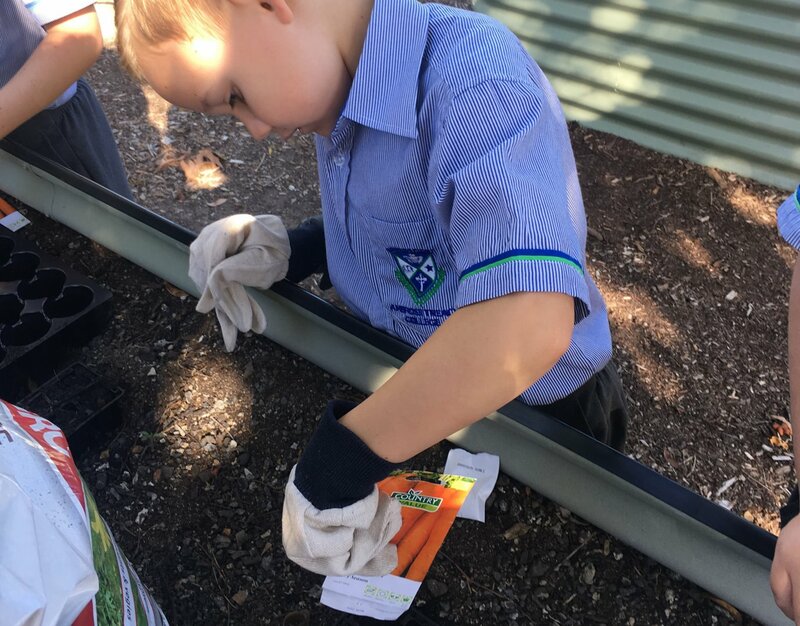 The first few weeks saw the gardening club with muddy hands as they prepared the soil, weeded the beds and selected the vegetables and herbs to be planted. 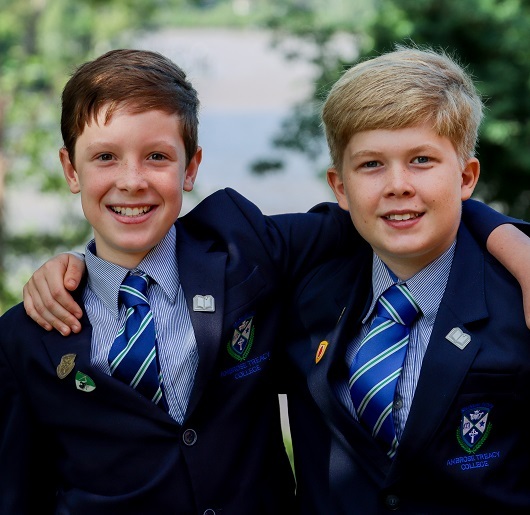 As keen gardeners the boys have arrived early to check water levels and to observe and care for many of the flourishing plants, vegetables and herbs. Together as a team, they will continue to work on developing this landscape. 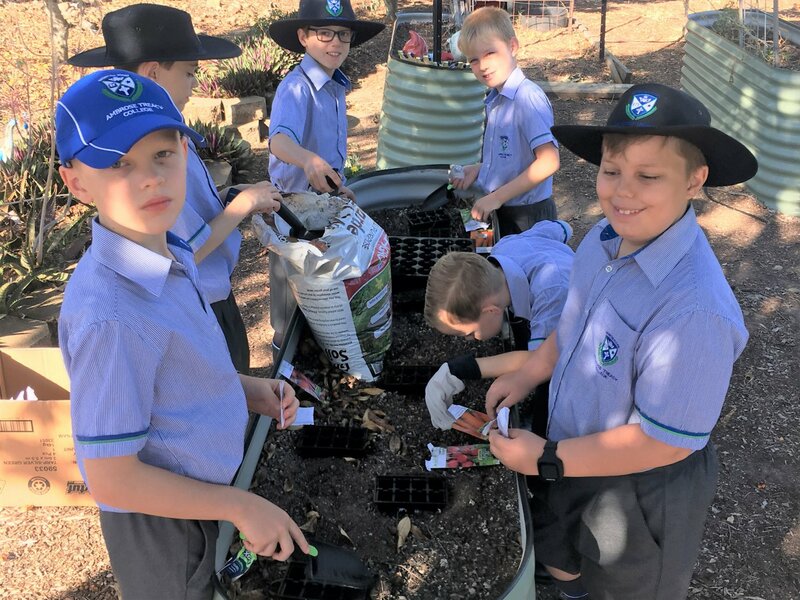 Fertilising their social and emotional development: In the world of technology and immediate, on hand information, caring for plants teaches students about cooperation, responsibility, patience and delayed gratification. The garden provides a context for understanding seasonality and life cycles. It’s an opportunity to work cooperatively on real tasks to achieve an outcome that all can be proud of. The garden provides a connection for the students to their school. 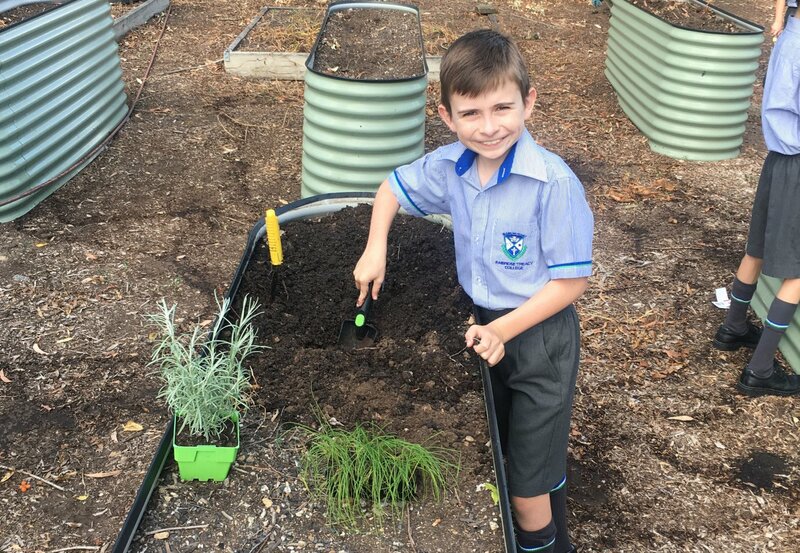 Primary school age students often report feeling ‘happy, relaxed, calm, and safe’ while working in the ATC garden. It’s a great place to make like-minded friends! And it’s not just students who benefit emotionally and socially from the garden; teachers who are trained to do garden activities with their students often report higher morale and job satisfaction. I know I love being in the ATC garden, listening to the birds and the boys chatter and watching them work together so happily. Learning to garden as a child can shape life-long habits. Students understand the role of food in life. Planting, caring for and harvesting our garden produce allows us to share ideas on improved nutrition and to highlight the importance of making healthy food choices. The skills and messages students learn about nutrition by working in the College garden can be transferred directly back to the home, and applied to everyday living. 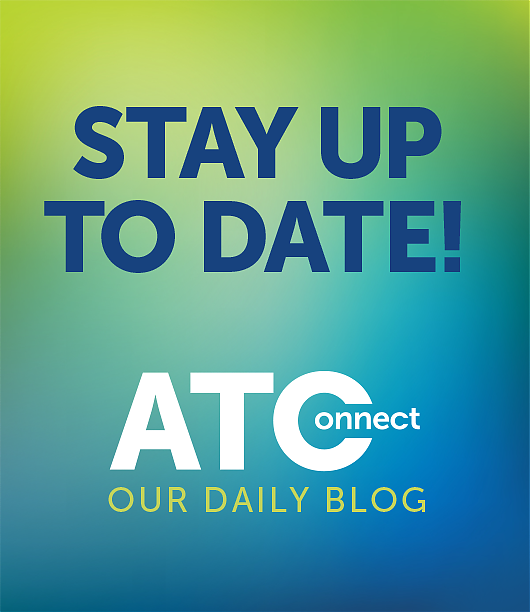 You may like to follow this link to ATC SchoolTV for more information on children’s diets and nutrition. So the Jury has Delivered its Verdict! Gardening has countless benefits for all, both big and small. So now, it’s time to get planting! I hope you enjoy some time in the garden over the holidays, weeding, planting, trimming and harvesting. I look forward to welcoming all our gardeners back in Term 2. Follow my notices on the College App under the Gardening Club tag.